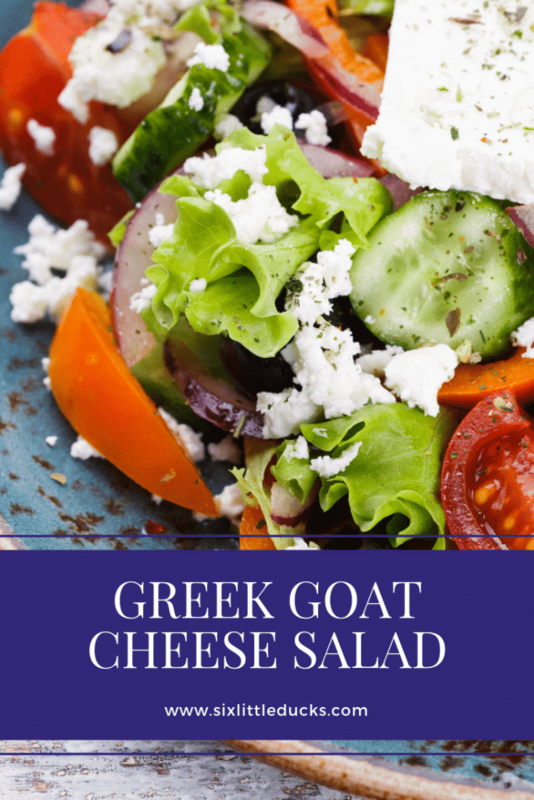 This Greek Goat Cheese Salad is a regular weekday lunch for both me and my husband. While Greek salads typically have Feta cheese in them, I love goat cheese so much I use it instead. You can definitely substitute Feta in this salad if you're not a big fan of goat cheese. This is a fresh, light, tasty salad that blasts the taste buds with flavor. The saltiness of the olives, the creaminess of the cheese, and the tanginess of the dressing combines elegantly with the salad greens, cucumbers, tomatoes, and onions. This is a simple but substantial salad that can be easily thrown together for a quick lunch or dinner. Add lettuce to salad bowl. Chop cucumbers, onion, and tomatoes into bite-size pieces and add to salad. Add Olives and dressing to salad and toss. 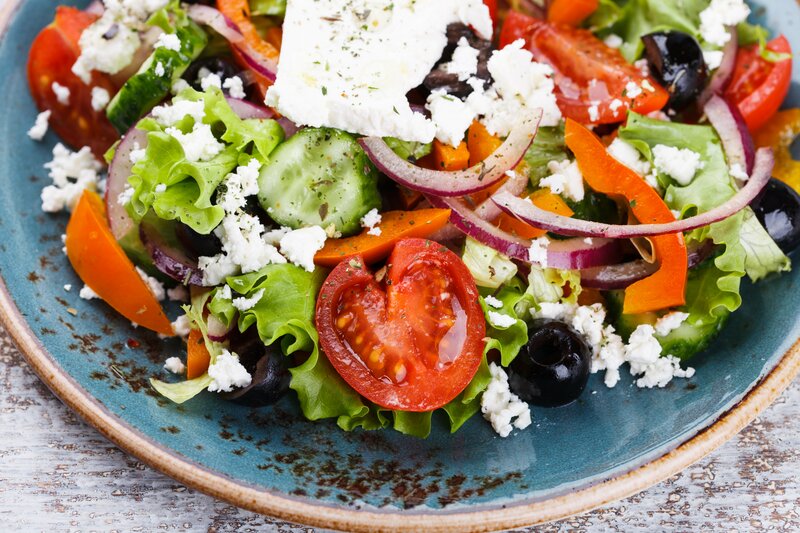 Top salad with goat cheese and enjoy!